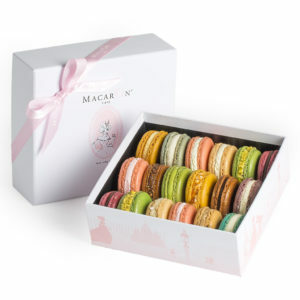 Life does not only have to be a box of chocolates, it can be a tower of macarons. How tempting does that sound? 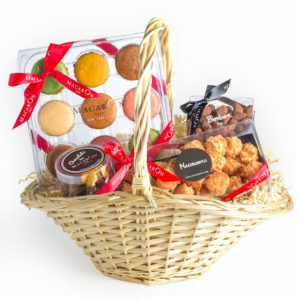 We at Macaron Café is breaking the momentany of mundane gift giving by raising the bar this holiday season. 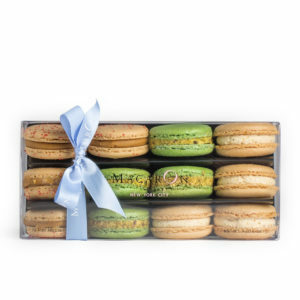 Best of all, feel great eating our macarons knowing that it is gluten-free and certified kosher! What is a macaron tower? Fresh from our Manhattan kitchen, head pastry chef, Cecile Cannone has delivered her signature delectable macarons again. This time, however, the macarons will be dressed-up in a sophisticated tower; layered upon one another in a cascade. 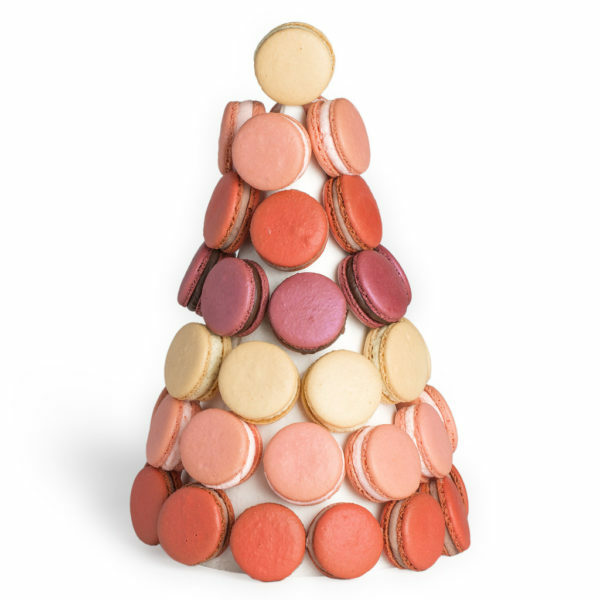 This macaron tower can take the place of a cake at a party. Whether it is for a wedding, birthday, anniversary, baby shower, corporate celebration, or simply, for a single individual; a macaron tower is perfect for all occasions. What is included in the Love Tower? Our macaron tower features the vibrant colors of 48 color-coordinated macarons to give the illusion of a beautiful mosaic. When should you get a macaron tower? This Love Tower will be the perfect gift for any woman with a sweet tooth. Rest assured that anyone who receives this tower will be the envy of all. Not only will the macaron tower be an amazing Valentine gift, it will also make a great contribution to any party. Valentine’s Day is not only for lovers, don’t neglect to celebrate the love with your family and friends. To all the ladies celebrating Valentine’s Day, could you think of a better way to spend the evening with you best gal-pals than with a beautifully arranged tower of macarons? With absolutely no mess involved, the macaron tower will be sure to impress guests and make hosting a breeze.